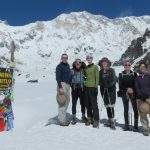 Our Kanchenjunga Base Camp trek visits both the North and South Kanchenjunga Base Camps allowing participants to get up-close-and-personal with the third highest mountain and the largest massif in the world. 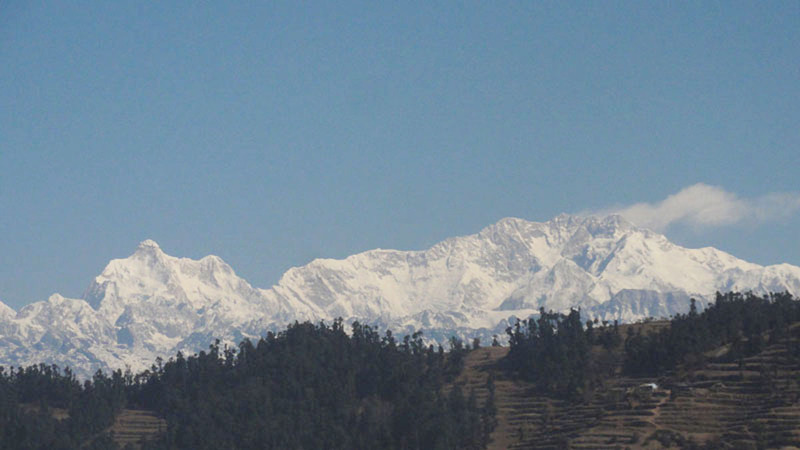 In the world of adventure, before there was Everest – there was KANCHENJUNGA! 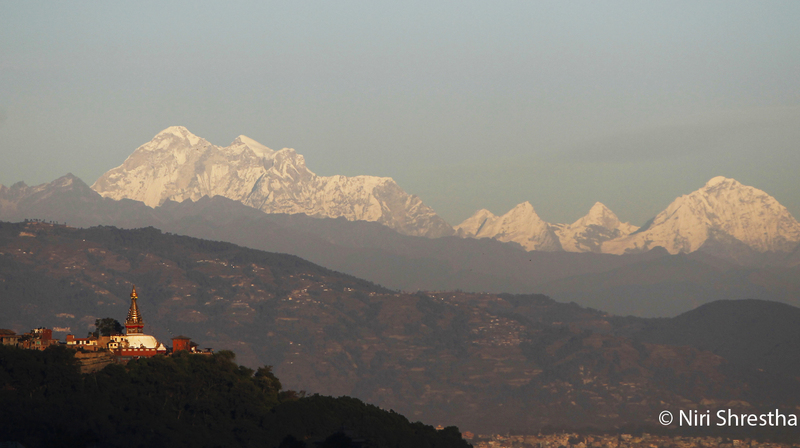 Clear and spectacular views of the Kangchenjunga range from the summer retreat town of Darjeeling (in India) raised the curiosity of early British explorers. 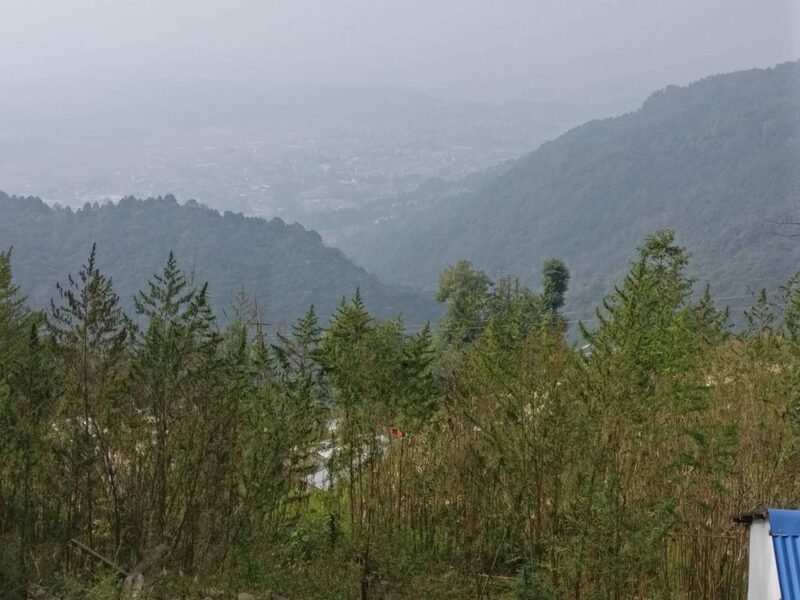 Moreover, easy access to eastern Nepal from bordering Sikkim also made adventures to the area possible as early as 1848 (while the rest of Nepal was closed to foreign visitors for another 100 years until the 1950s). 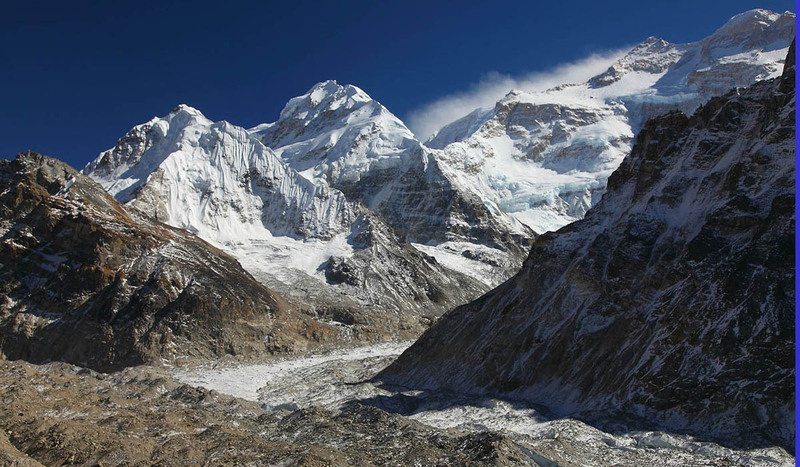 In fact, for some time, Kangchenjunga was even considered the highest mountain in the world – i.e. until 1856, when Peak XV was announced as the highest point on Earth and named ‘Mount Everest’. 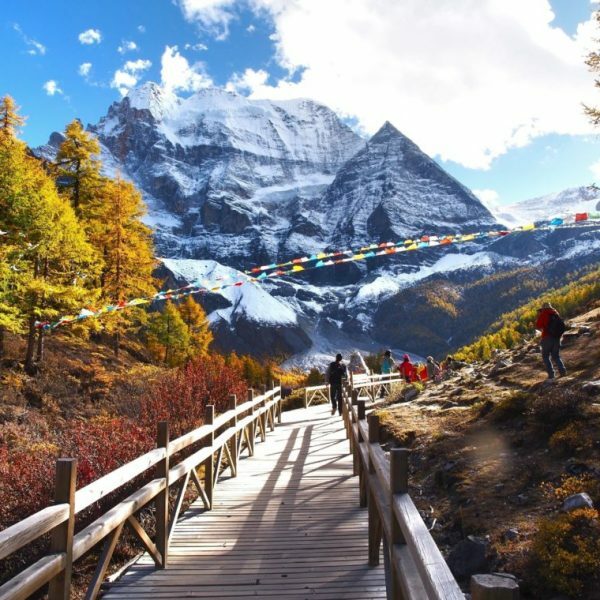 Kangchenjunga literally translates to “Five Great Treasures in the Snow.” There are five peaks within the Kangchenjunga range, and local people believe that each of the five peaks is a repository of different treasures: gold, silver, gems, grains and sacred texts. 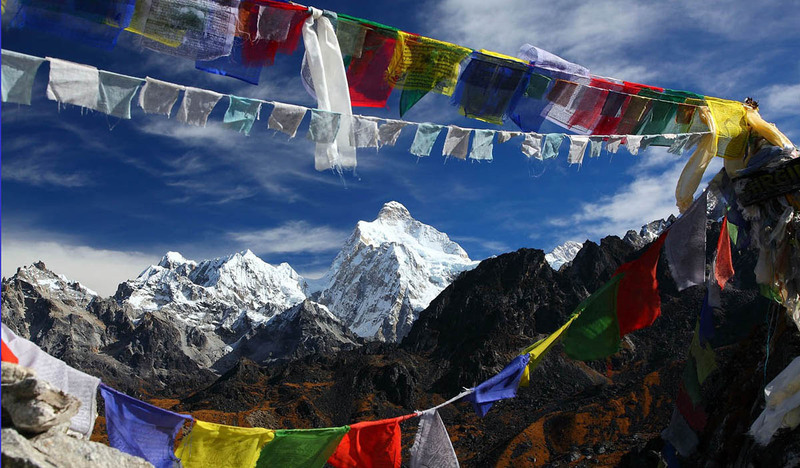 Kangchenjunga is a sacred mountain. In due reverence, the first summiteers stopped a few meters short of the summit in 1955. (This practice is no longer followed by today’s climbers!). 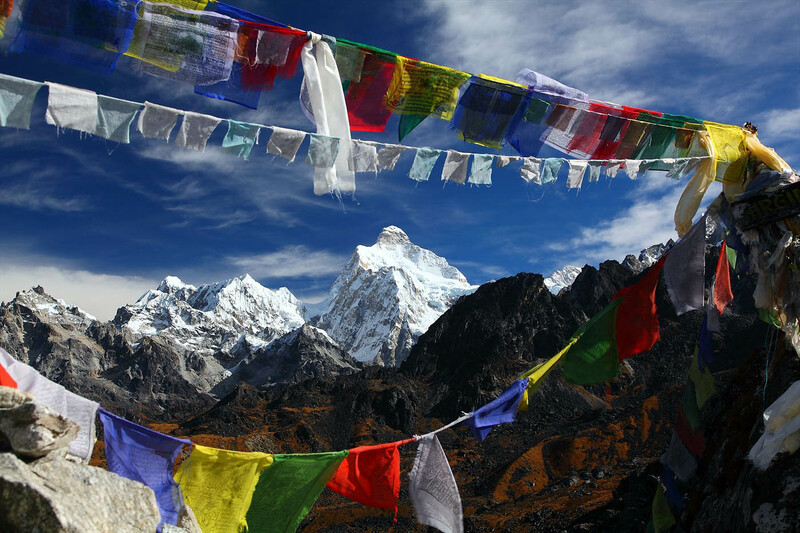 Kangchenjunga is situated in the Beyul Demazong [beyuls are sacred valleys that were hidden by Padmasambhava, a much revered Indian saint who introduced Buddhism to Tibet in the eighth century]. The purpose of beyuls was to provide sanctuaries for people seeking refuge from social and religious persecution. During our trip, Beyul Demazong will also allow us to experience its purpose as we seek refuge from the daily grind of our hectic social lives. Kanchenjunga is also where 3 Summits for Nepal, our giving arm, has built three primary schools and is building a fourth one in 2019. 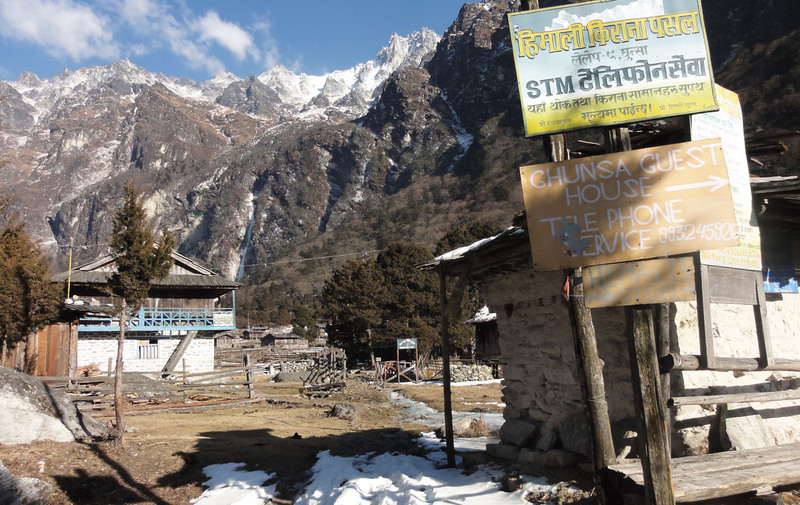 On this Kanchenjunga Base Camp trek, we will have the opportunity to visit one of the school in Yamphudin. Day 26 Khebang to Sinam. Drive to Ilam. Day 27 Drive to Bhadrapur. Fly to Kathmandu. Visit Pashupatinath, Nepal’s most sacred Hindu temple dedicated to Shiva, with its two-tiered golden roof and silver door. Here, you’ll probably witness a Hindu cremation along the banks of the Bagmati River. 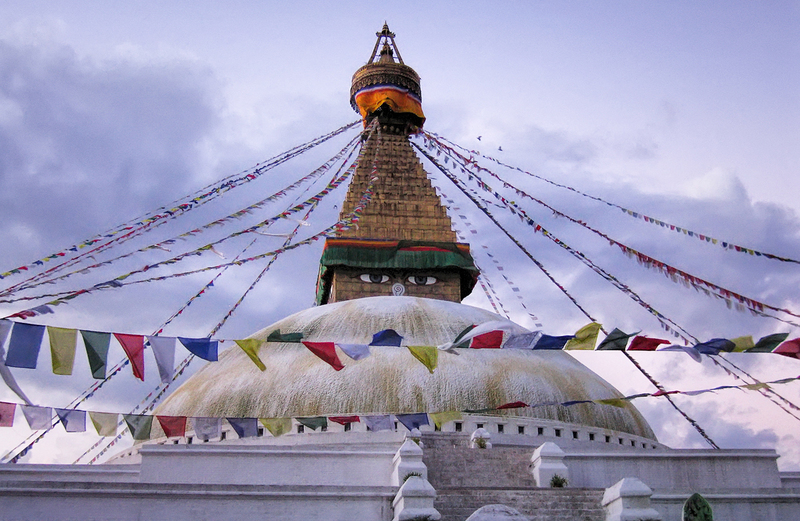 Fly about 50 minutes east of Kathmandu to Bhadrapur. It’s best to sit on the left side of the plane because on a clear day Everest, Makalu and Kanchenjunga are visible. After exiting the Bhadrapur airport, board a chartered vehicle for a 5 hour drive to Ilam. The drive first starts in the plains of Nepal slowly ascending the winding roads through rice terraces and large tea plantations to Ilam. 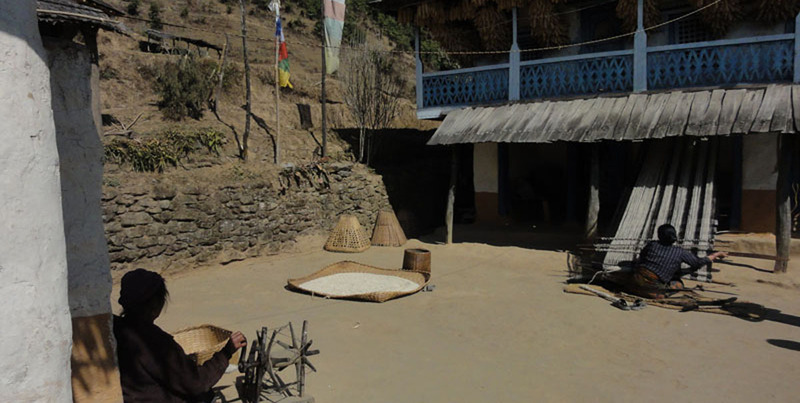 At Ilam, we will stay at a small but quaint Gurung home. 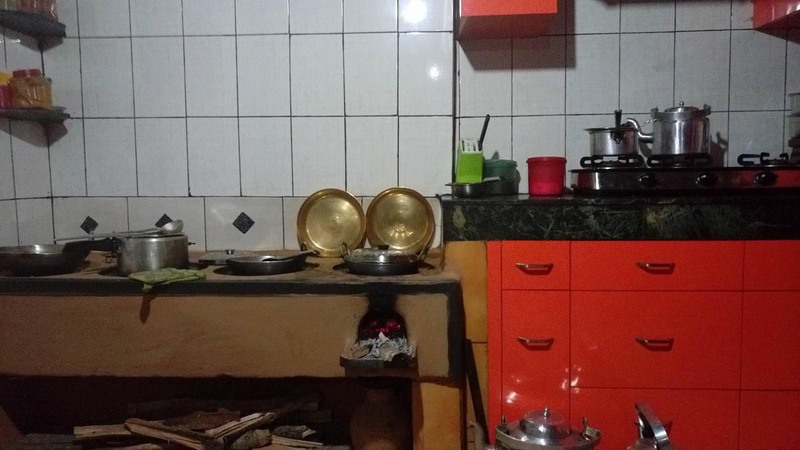 (Picture: East meets West – both traditional wood and gas cooking stove). We start early as it is another long drive to Taplejung (7 – 8 hours). 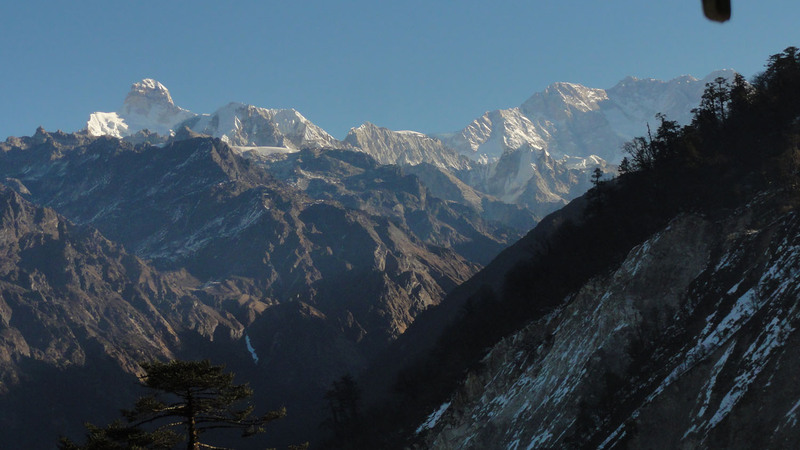 At first, we ascend steadily to deurali from where the Kanchenjunga massif comes into view. Soon we arrive at Phidim, the district headquarters. Just past the river, we stop for lunch. 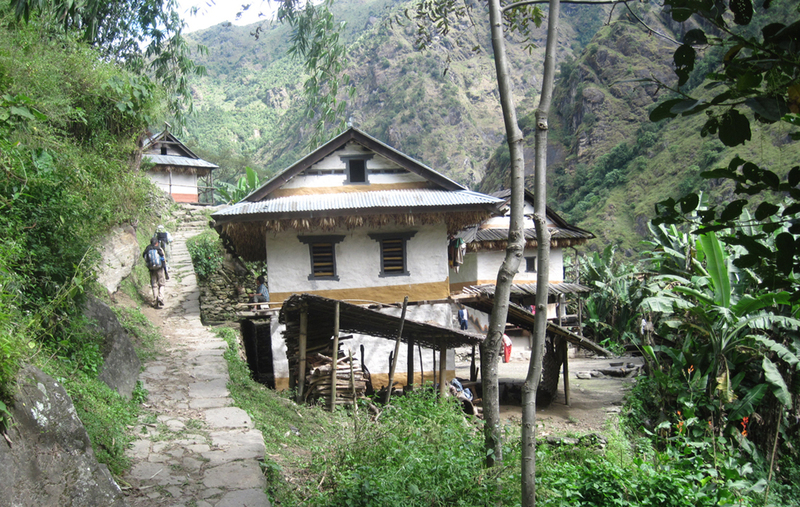 After lunch, it is 3 hours of slow and windy ascent to Taplejung – which basically a jumble of houses along the hill. 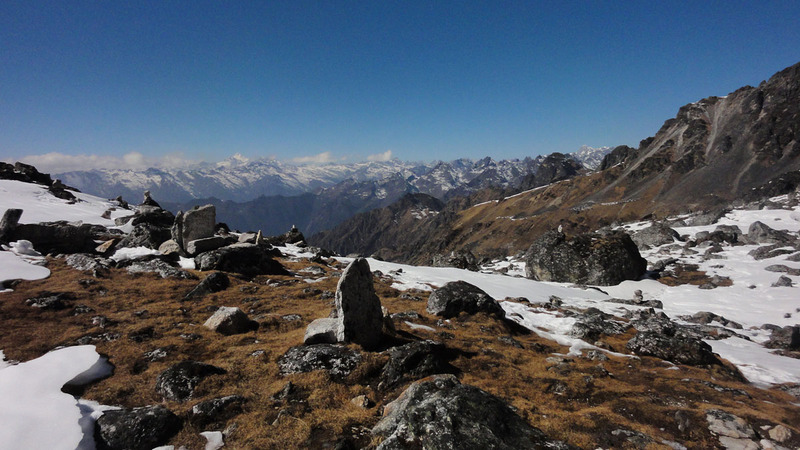 Trek through relatively low altitude (between 3,000 and 6,000 ft.) Limbu villages through Chirwa, Sekathum and Amjilosa. 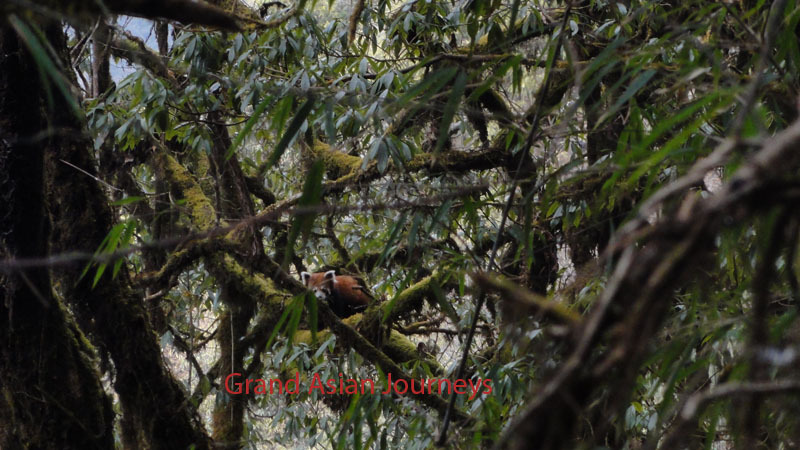 The forests are lush and the trails are typical of those in Nepal – you ascend steeply only to descend to the river later. All along, there are cardamom plantations which are watered by sprinklers as cardamom grows in a damp environment. Cardamom is one of the most profitable cash crop in Nepal. 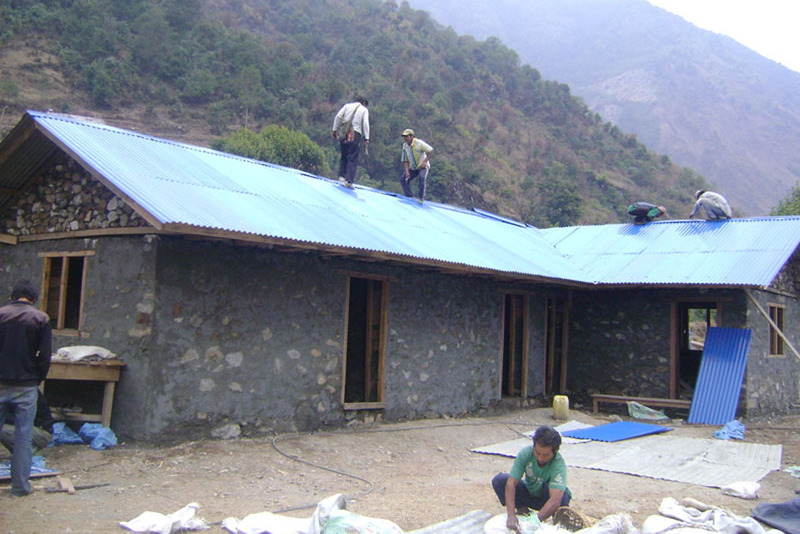 In between Tapethok and Hellok, at Margem, is one of the schools we’ve helped build. A little past Amjilosa, the landscape starts to change – from lush green low-land to alpine country with shorter pine and rhododendron trees. 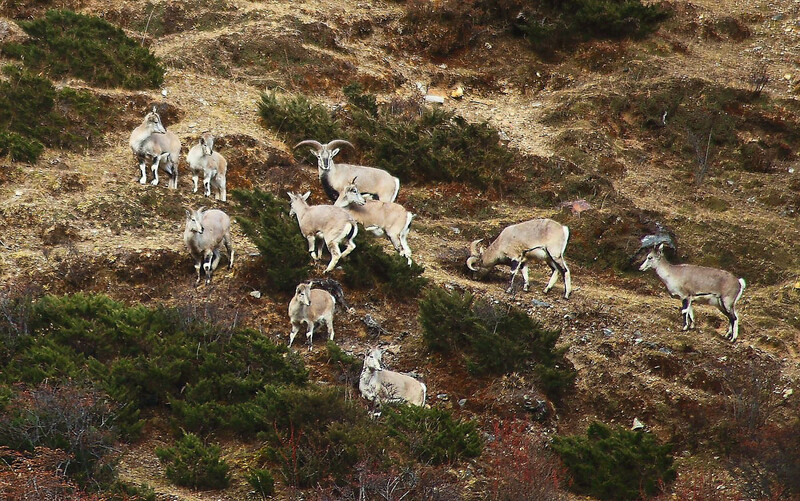 The inhabitants of this region are Sherpas and Bhotes who continue trade with Tibet which is about a two days hike. The traders take yak and locally grown herbs to sell in Tibet. 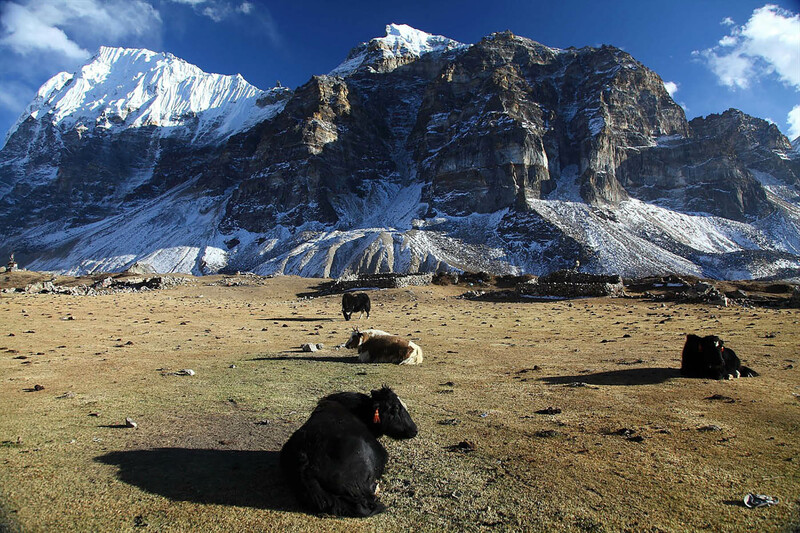 On Day 11, you reach Ghunsa which is the largest Sherpa village on this trek. A rest and acclimatization day is planned here. The trail today is along the Ghunsa river with pastures along forests of rhododendron trees and juniper. Past the bridge over the Ghunsa river, it is a steep climb past a landslide. This section experiences a landslide every year and the trail is quite sketchy. Descend to Khangbachen. 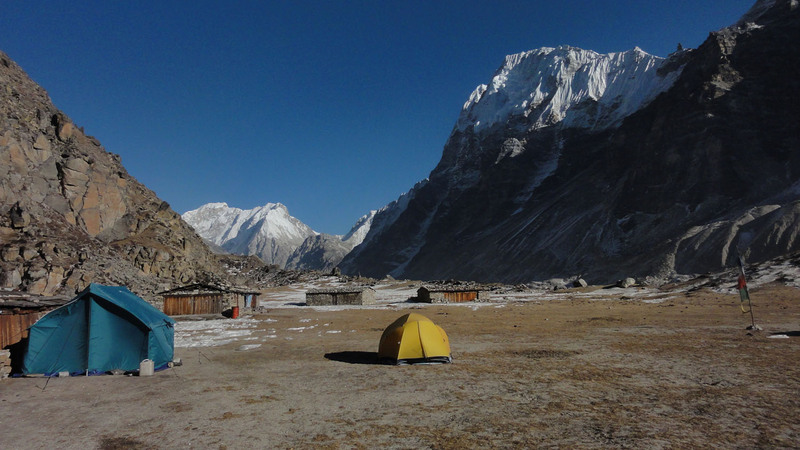 The next day is another acclimatization day with optional hike to Jannu Base Camp. Descend to Lhonak, Khambachen and then to Ghunsa. Ascend steeply to Selela. The hike is around 3 to 4 hours. 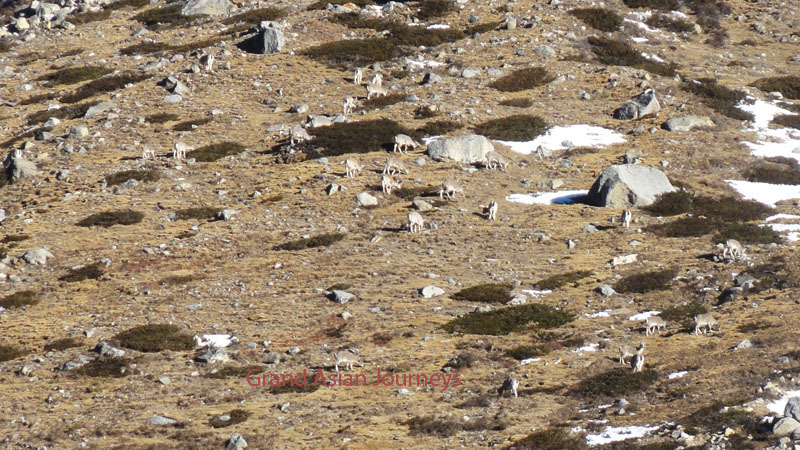 The pass from Ghunsa to Ramje involves crossing five passes – Tamo La (3,900m), second pass (4,115m), Mirgin La (4,663m), Sinion La (4,660m) and the final pass (4,724m). The views from the pass are breath-taking. Makalu (8,481m) is also visible towards the west. Descend to Tseram. Continue to Ramje. From Ramje, ascend steeply and hike along a vast pasture with azaleas which are used as incense by the locals. Again, Kanchenjunga isn’t visible until you get very close to Base Camp. 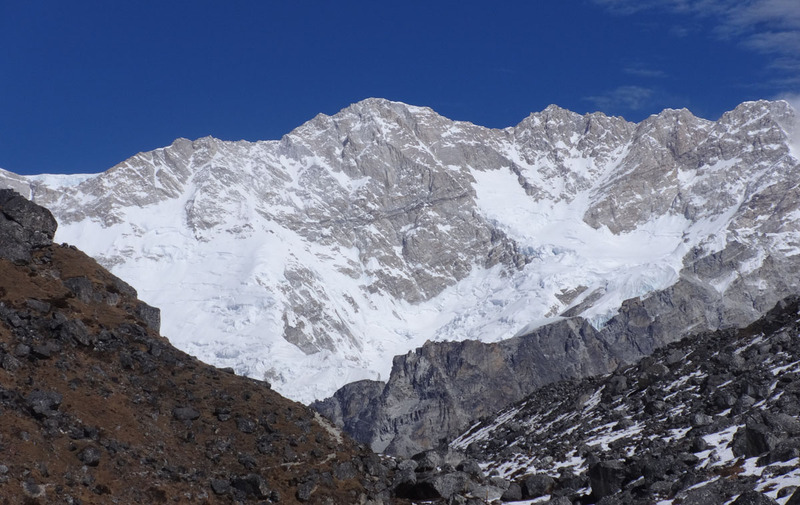 Explore the South Kanchenjunga Base Camp. Descend steadily along the river to Torontan where there is a single hut. The trail is beautiful through forests of Rhododendrons and Oak. 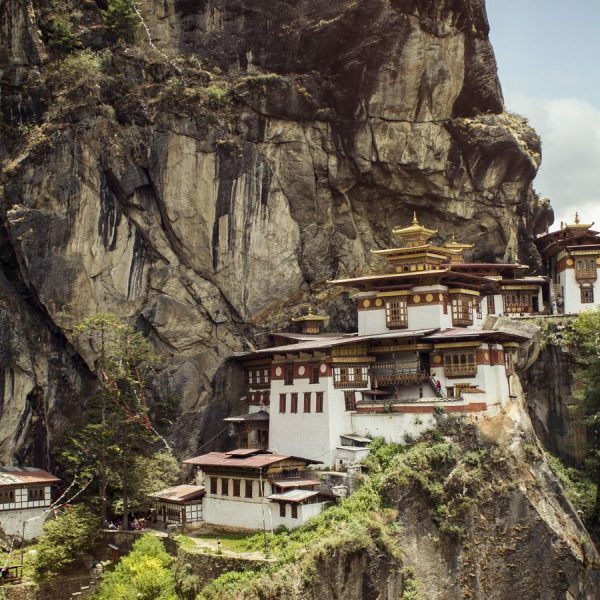 From Torontan, hike steeply along switch-backs to Lamite Bhanjyang. The jungle around this area is teeming with wildlife. Pheasants, red panda, wild dogs etc. Just before arriving at Lamite, there is a section that involves crossing a huge landslide. An alternative trail has since been built that ascends to the top of the ridge over the landslide. Lamite Bhanyang is a misty pasture along the ridge surrounded by thick forests of Douglas fir and Oak. From Lamite, it is a steep descent to Yamphudin. Follow the trail to the left as we will be going to the village above Yamphudin where one of the 3 Summits’ schools is located. This school was rebuilt after the big earthquake that ravaged the Eastern Himalayas in 2009 (not to be mistaken with the earthquake in 2015). This village is inhabited by Gurungs who are all cousins. Continue descent from Yamphudin to Khebang where we camp for the last night. The next morning we hike to Sinam where the trek ends and from where we board a chartered bus to Ilam. We leave early and drive to Bhadrapur (around 3-4 hours) where we board a flight back to Kathmandu. A farewell dinner is planned for the evening. Expert pre-trip advice and detailed information | Motivated, well-cared-for staff | All airport transfers | Two full days sightseeing in Kathmandu as indicated in the itinerary and entrance fees to monuments | 4 nights twin sharing hotel accommodation at Hotel Tibet (3 star) in Kathmandu | Airfare: Kathmandu to Bhadrapur and Bhadrapur to Kathmandu | Chartered vehicle: Bhadrapur to Taplejung and Sinam to Bhadrapur | Meals as indicated in the itinerary | Camping trekking as indicated in the itinerary | Three meals a day | Boiled water for your bottles three times a day | Guide and staff wages, equipment and meals | Guide and staff insurance | Kanchenjunga Conservation Area Fee and trekking permit | Gamow Bag (High altitude pressure chamber) | Satellite phone. 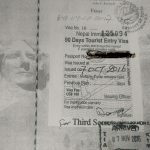 Your international airfare | Nepal Visa | Meals not indicated in the itinerary | Tips and gratuities | Personal equipment (a suggested list will be mailed to you) | Travel insurance (Required) | Other expenses of a personal nature. 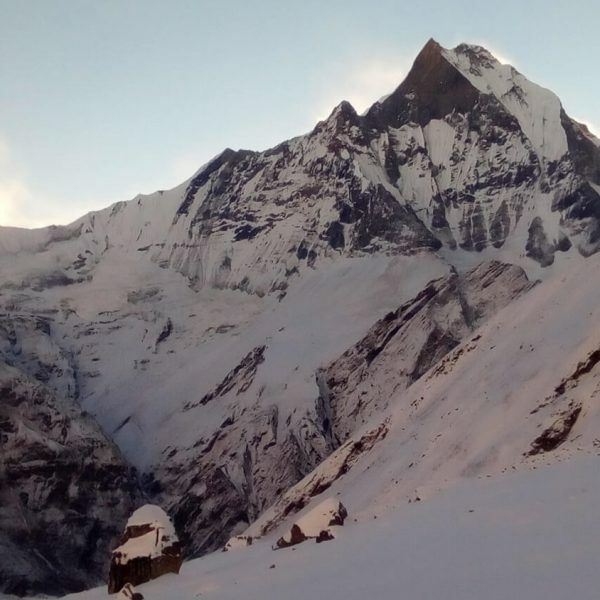 South Kanchenjunga Base Camp only (22 days): Ascend via the Western route (Mitlung), cut through to the Eastern route via Yasang (the site of another of our schools) and visit the South Base Camp. 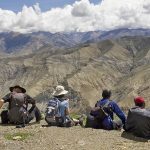 Lower altitude Pathibhara circuit (15 days): Trek to Yamphudin and return via Pathibhara (a holy temple dedicated to a goddess revered by both Hindus and Buddhists) and Suketar. Great views of the entire Kanchenjunga massif from a ridge reached a day before arriving at Pathibhara. On the other hand, if you have more time, we can organize a longer circuit trek visiting both Kanchenjunga base camps and then crossing the Lumba Sumba pass into the Makalu region. We are happy to customize a trek for two or more participants. Please do write to us! 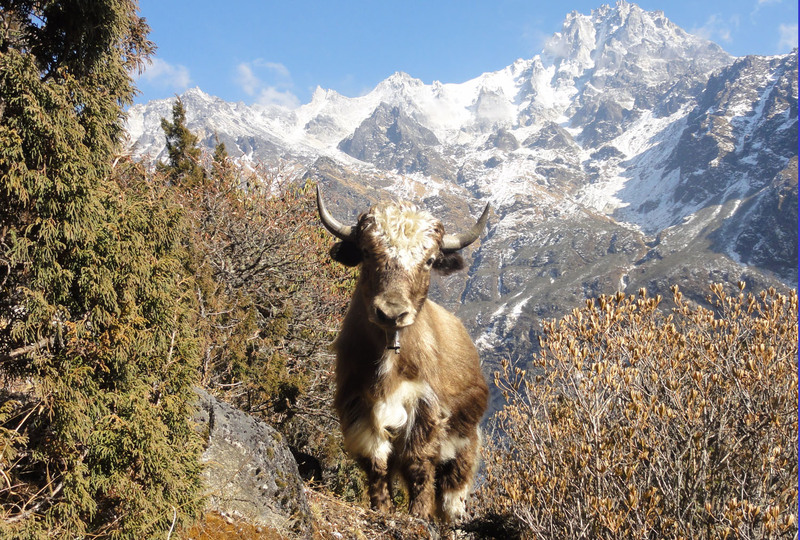 When is the best time to trek in the Kanchenjunga region? The Kanchenjunga region is one of the wettest areas of Nepal. 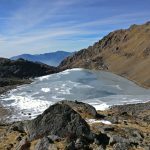 There are two preferred seasons for the Kanchenjunga Trek: Spring (April through May ) and Fall (October through November). It is still possible to do the trek even in December if you are in good shape and don’t mind walking on snow. In the Spring, because this trek involves crossing a high pass, we wouldn’t recommend this trek in March as it may be too early and there may excessive snow in the pass. Day time temperatures range in the 50’s and 60’s (10 to 15 Centigrade) while night-time temperatures are in the 30’s and 40’s (0 to 5 Centigrade). Expect night time temperatures of below Freezing near the Base Camp. Expect some late-afternoon showers in the Spring which is the season for rhododendrons, orchids and magnolias. October is historically regarded as the best month to trek with clear skies and better views of the mountains. The temperature is around 10 degrees Fahrenheit colder in the Fall season. 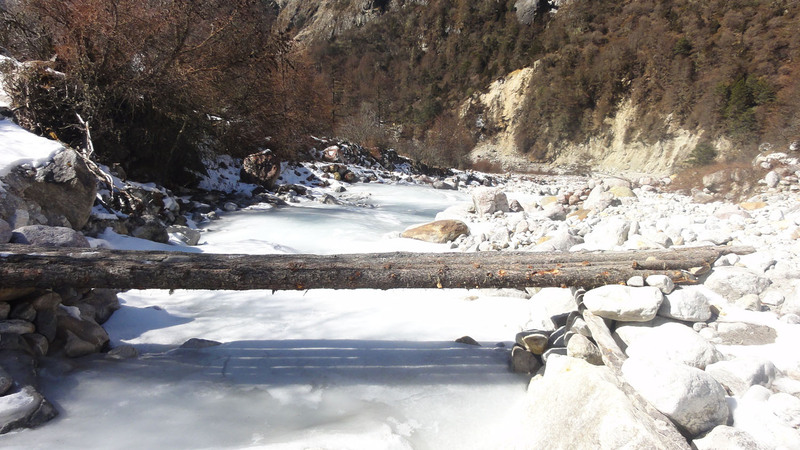 If you plan to do this trek in the Winter, expect temperatures around -5F (-20 Centigrade) at night. 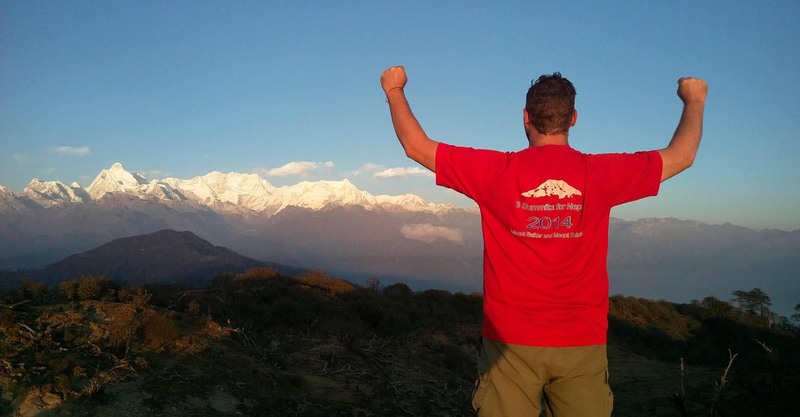 How fit do I need to be to do the Kanchenjunga Base Camp trek? 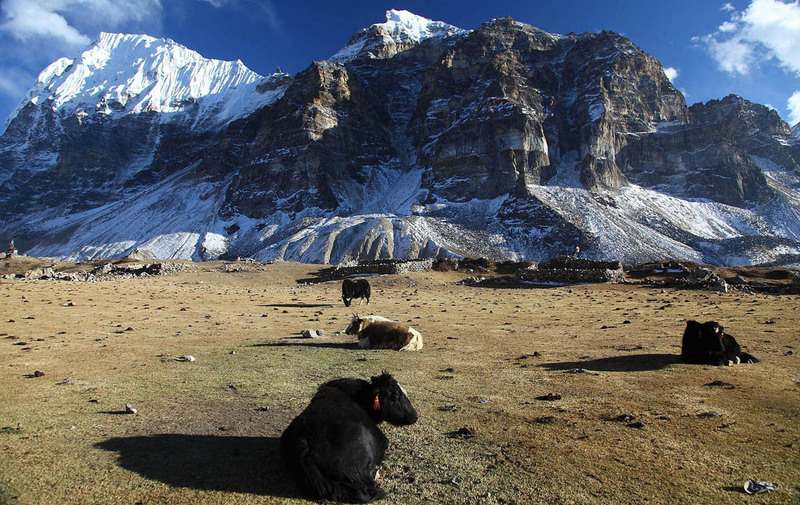 We would recommend the Kanchenjunga Circuit Trek to seasoned hikers only. 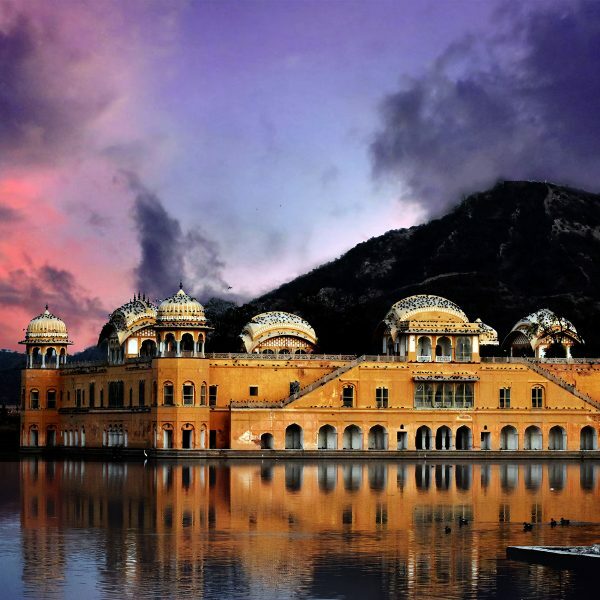 It is a long trek where you would be away from modern amenities for an extended period of time. Also the trail involves a lot of ascents and descents. Regardless, you must be able to hike up to 12 miles a day (mostly at high altitude) carrying a small pack. While this trek does not involve and does not require any technical climbing, you must have the mental and physical toughness to hike on sketchy trail with some objective danger – there are at least a couple sections where you would walk through landslides. It is advised that anyone with a pre-existing condition consult their doctor before signing up for a trek. 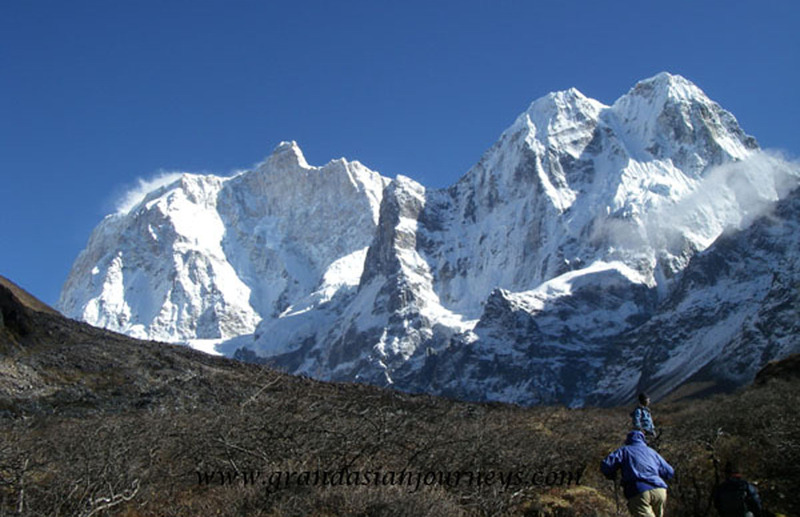 We rate the Kanchenjunga Circuit Trek a 5 on a scale of 1 (easy) to 5 (challenging). The more physically fit you are, the more you will enjoy the trip. There are three aspects to training for any trek. 1) Cardiovascular Training will make your body more efficient in using oxygen. Running, walking, swimming or biking, or any combination of these are great for cardiovascular conditioning. 2) Strength Training by either using free weights or machines at the gym will build hiking strength. Walking stairs, especially with a pack will simulate the hiking environment. We also recommend practicing squats. Trekkers will encounter low hanging obstacles to duck under, and many toilets are at ground level, which requires a low squat. 3) Endurance Training is where you build endurance in the months leading up to your trek, slowly increase your length of training sessions. 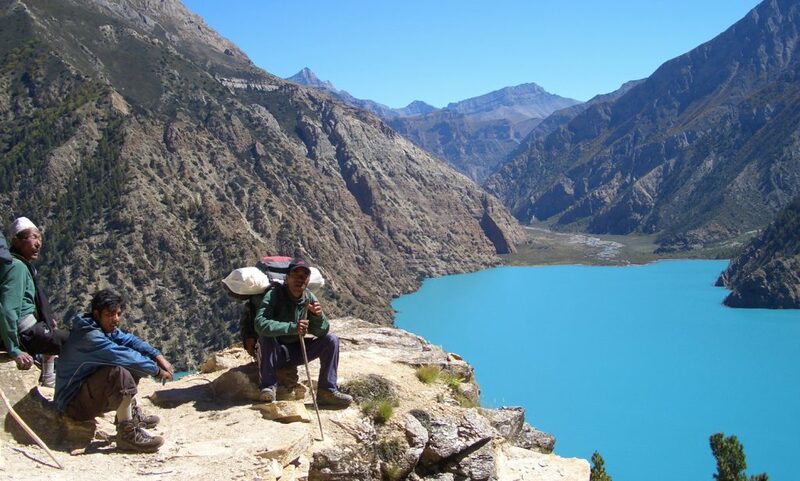 By the time you are 2 weeks from the scheduled trek date you should be able to ascend 3,000 ft. in a 3-4 hour period. In the end, the more your training simulates a trek, the better off you will be. So hiking 4-5 hours outdoors, uphill and downhill, about once or twice a week in addition to other cardio vascular training at the gym or at home will greatly benefit and prepare you for the trek. 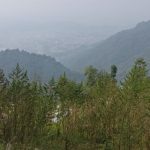 What kind of food should I expect on the trek? 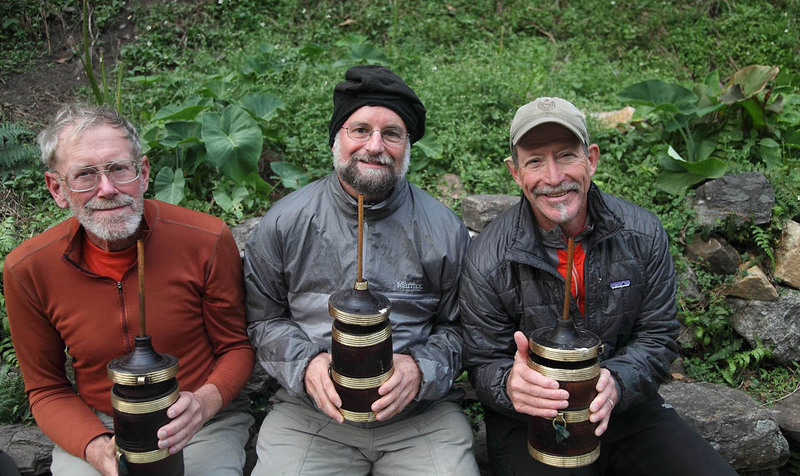 All cooking gear and food have to be carried in from Kathmandu. The cook will purchase fresh fruit and vegetables and rice/lentils from the villagers en route. You will be surprised as to what the cook can make on a small gas stove. In general, expect porridge (Oatmeal), toast, eggs (various style), muesli, hash browns, sausages etc for breakfast. And sandwich, pizzas, momos, noodles (dry and with soup), rolls, fried rice, Indian bread with vegetables or Daal Bhaat (Rice with lentils) etc for lunch and dinner. Will you provide tents and mats? Yes, we will provide good quality Mountain Hardwear Trango or North Face VE 25 tents for this trek. We will also provide a 2 inch foam mattress and an insulation pad. You can bring an additional pad if you wish. We will also provide all the kitchen gear. What kind of gear do you provide the staff? This is a challenging trek. Even for the hardy Nepali staff. Make sure your staff and porters have good gear and enough food to complete this trek. Ask your operator what they provide for the staff. Are they provided meals or are they responsible for their own meals? We provide snow goggles, mittens, gore-tex parka, water-proof pants and good water-proof hiking boots (mostly Lowa’s) to the staff. Also, the staff and porters will be provided all meals on the trek. We’d be glad to provide references who can allude to our claims. Is there mobile signal on the trek? Wi-fi? There is mobile signal only at some of the villages at the beginning of the trek. Wi-fi is only available at Taplejung. We will provide a satellite phone for this trek. What are the toilets like on this trek? Will I be able to take a shower? On camping treks, toilets are a hole in the ground in a small tent to allow for privacy. Showers are available during rest days and involve scooping out water with a mug from a bucket of hot water. On most days you can clean yourself with wet wipes. We will provide a small bowl of warm water with which you can wipe yourself with a towel. What gear do I need for the trek? Can I rent in Kathmandu? Layering is key. And it’s always recommended to trek with good branded gear. A good pair of hiking boots that’s been broken in is very important. Good top and bottom base layers, a mid layer (fleece or capilene), and an outer layer (Gore-tex or other material). If you tend to get cold quickly, bring a down parka especially for the evening at the lodge. On most days, you’d be hiking in a convertible hiking pant that can be converted into shorts and one or two top layers. if you’re trekking with Crystal Mountain Treks, we provide a sleeping bag (rated to 0 degree F or -17 degree C), duffel bags, down jacket and Steripen for water purification to our clients for no charge. 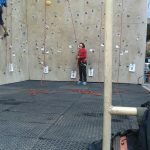 It is possible to buy cheap and relatively functional gear in Kathmandu – convertible pants, down jackets, fleece, Gore-tex jackets. But remember, you get what you pay for. Wool gloves, hats, socks are available too. There are quite a few branded stores too. 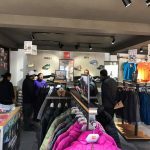 North Face, Moutain Hardwear, Marmot and Sherpa. If you’re coming from Australia or Europe, items in these shops are probably cheaper than back home. But if you’re coming from the US, it’s better to buy branded gear at home. 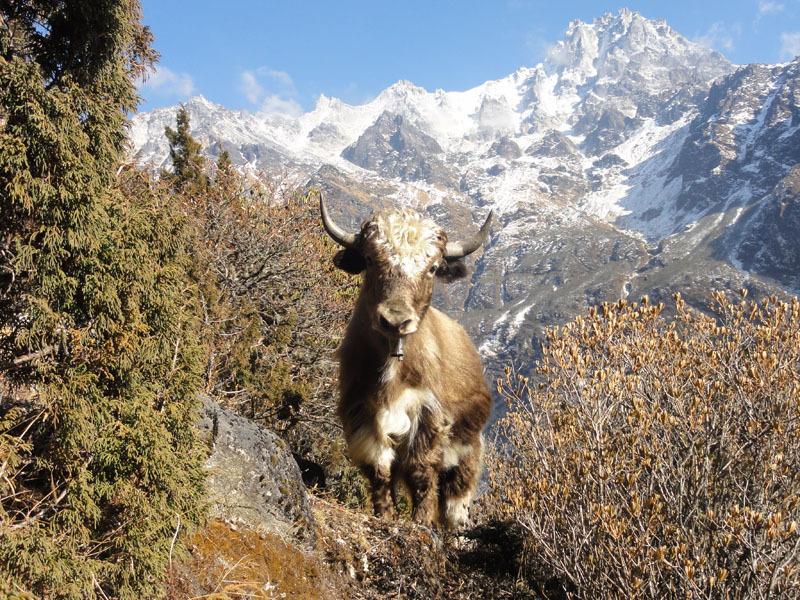 The trek was the most adventurous of any I’ve taken in Nepal. The earthquake damage certainly contributed to that but not entirely. These statements are not meant to be negative instead I have a very positive feeling about the trek as a whole. As far as physically demanding this trek is on a par with Dolpo/Shey Gompa. 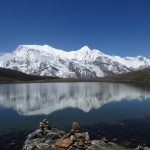 I always have preferred camping treks for the camaraderie of being with the staff and this trek lived up to my expectations especially with the outstanding leadership provided by Manju. One aspect of this trek that pleasantly surprised me was the dramatic difference between the east and west portions of the trek. It amounted to being on two totally different treks which I found very enjoyable and certainly very interesting. I’ll see to it that you get a copy of the video travelogue when I finish it.